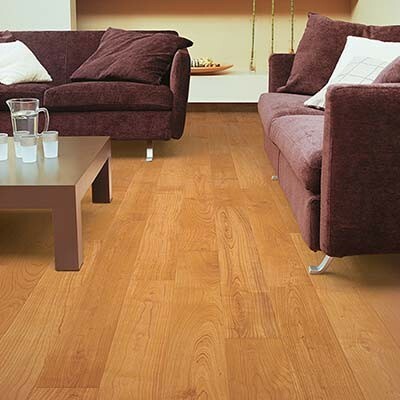 9.5mm laminate flooring is a great choice for any homeowner. The flooring is strong, durable and water resistant. 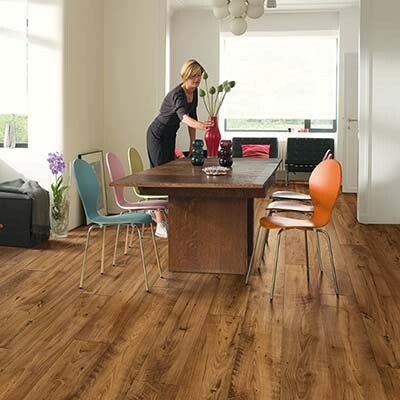 9.5mm laminate flooring is made in exactly the same way as any other thickness of Quick-Step laminate flooring. The base of the laminate has a balancing layer and a core board made from high density fibreboard. This helps to give the flooring its strength and stability. Then a design layer (a high resolution photo) of either tiles or wood is added, and it is finished with a transparent protective surface layer. The total thickness of the flooring is 9.5mm. 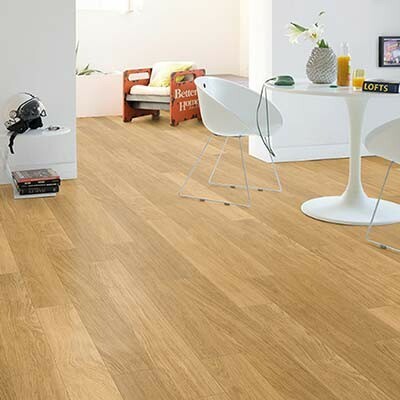 Why should I choose 9.5mm thick laminate flooring? 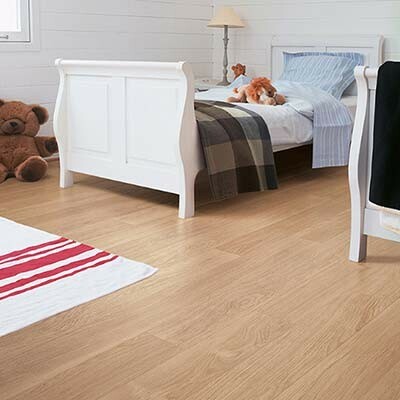 9.5mm thick laminate flooring is strong, durable and water resistant so is perfect for any room in your home. Some types of 9.5mm laminate are even waterproof so make sure you opt for one of these if you are thinking of using it in an area with excess water. All types of Quick-Step laminate flooring has an easy to use click fitting system, which makes the installation process extremely straight forward; perfect for a DIY enthusiast as there is no need for nails or glue. 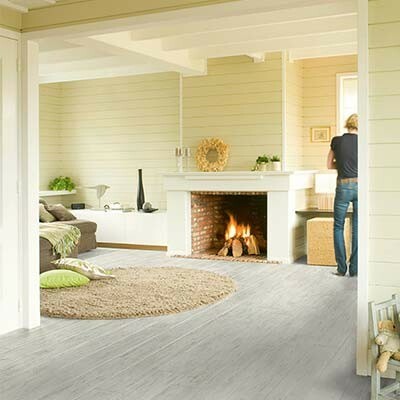 The surface layer of 9.5mm thick laminate flooring is scratch resistant and offers protection against stains. This makes looking after your floor even easier. 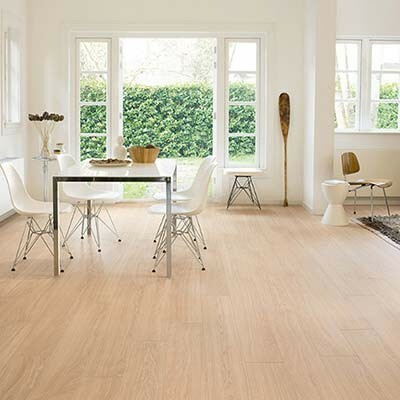 All Quick-Step laminate flooring is compatible with underfloor heating systems and allows the efficient transfer of heat to your laminate floor. 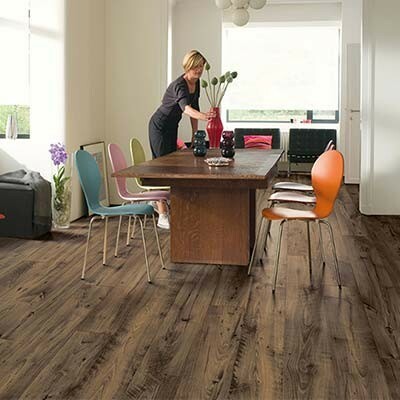 Within the 9.5mm laminate flooring range you will find a wide variety of different colours of flooring, species of wood style, plank widths and plank lengths, so there is sure to be something to meet your needs and suit your décor. How do I maintain 9.5mm laminate hardwood flooring? 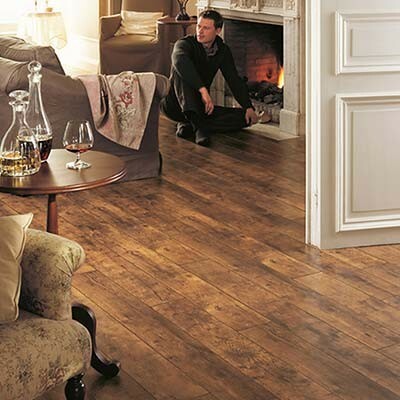 It is easy to maintain and care for your laminate floor. Clean the floor by sweeping on a daily basis with a soft brush. Follow this up with a weekly clean using a wooden floor cleaning spray and microfibre mop, which will help to remove any stubborn stains. You can also protect your laminate floor by applying felt protector pads onto the bottom of furniture or heavy objects. Also, remember to remove wet or dirty outdoor footwear before walking on your laminate floor. For more tips and advice on how to look after your laminate floor, have a look at our Flooring Care and Maintenance Guide. Yes there are alternatives available. 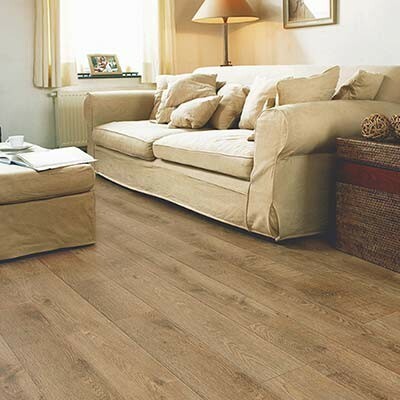 We stock a variety of Quick-Step laminate flooring in a range of different thicknesses to suit individual needs. 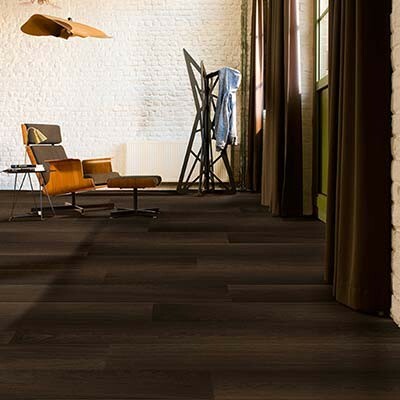 However, if you are still not sure about laminate and would like to look at different types of flooring, then why not have a look at our range of Solid Wood Flooring, Engineered Wood Flooring or Vinyl Flooring. For further help and advice, please either contact us or come into our showroom where one of our technically trained team will be able to answer any questions you may have.